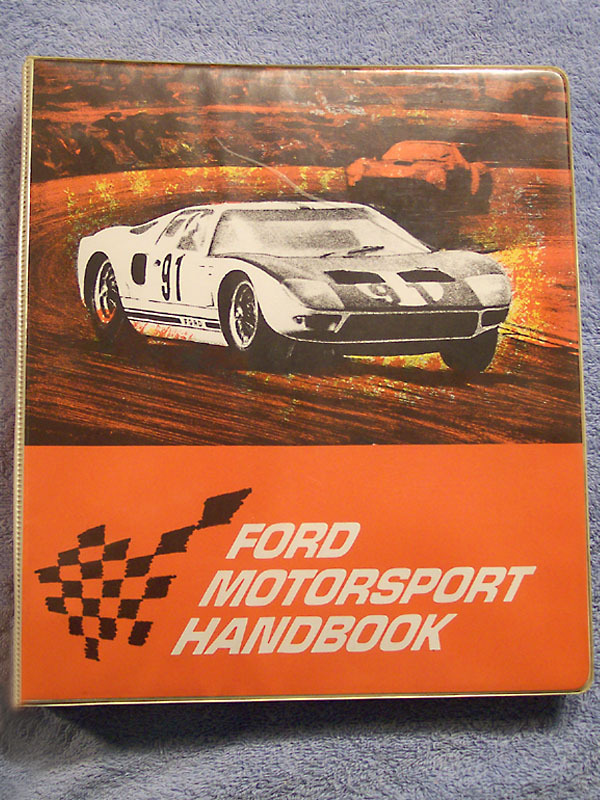 Ford Motorsport Handbook. 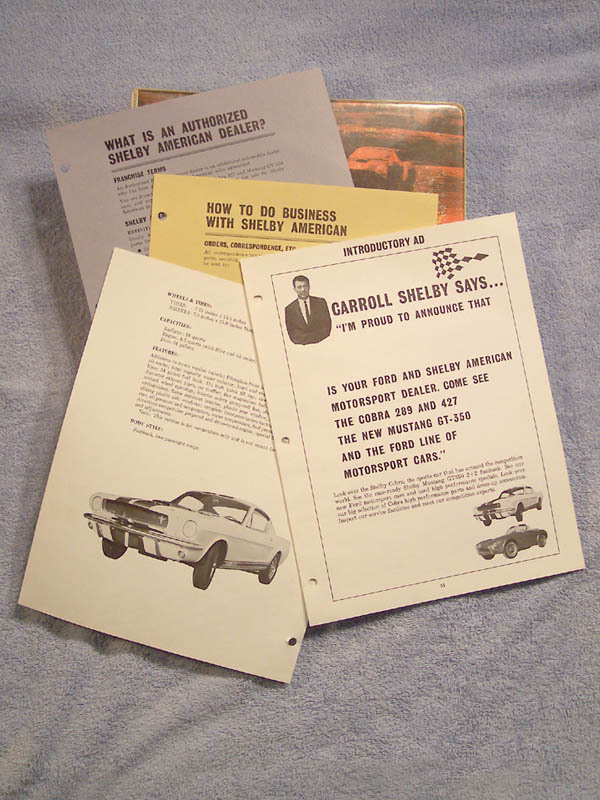 This was given to perspective Ford Dealers who might be interested in becoming a Shelby American distributor for cars and parts. The book covers both street and race versions of the GT350 and Cobra plus includes a section on "How to do business with Shelby American" as well as how to set up business ads and a glossary of high performance terms. The lower image shows some of the pages inside the handbook.